Aburiya & The Container at Boat Quay: Quality BBQ Wagyu with Abundant Value. 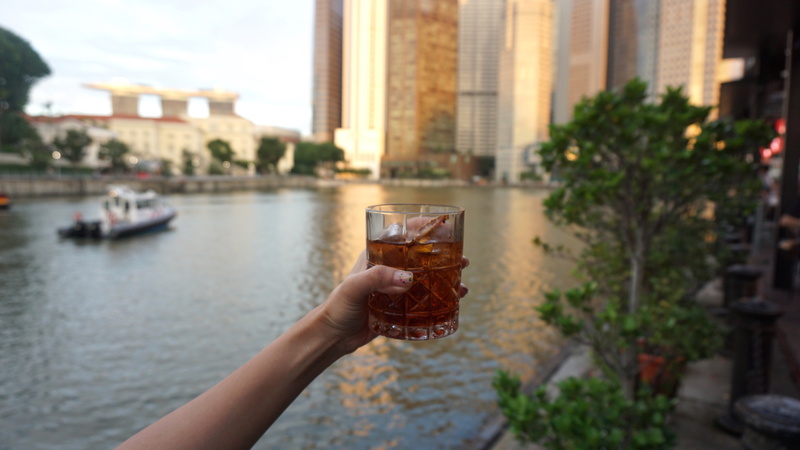 Boat Quay’s Newly-opened Aburiya & The Container Bar certainly know how to make an impact on the otherwise gimmicky Quay area. I spent an evening knocking back drinks and very solid Wagyu with some very happy dining companions, and I think this place deserves some serious attention. This is indeed, the sister restaurant of the well-loved Aburiya restaurant at Robertson Quay, but it boasts a more modern look. In case you’re wondering, the restaurant was indeed brought over by a Japanese F&B company, but fret not, as the new Japanese owners understand quality and standards, as evidenced by the very enticing tapas we were treated to. I love the fact that they lightened up the dining experience with an alfresco tapas bar concept. The Container is named after the shipping container Izakayas that Wagyu farmers in Hokkaido would gather at regularly to trade farming stories while wolfing down small Wagyu dishes and alcohol. This is why The Container Bar serves contemporary, innovative Wagyu tapas with unique cocktails. The Wagyu Whisky ($18) is one for the novelty seekers. 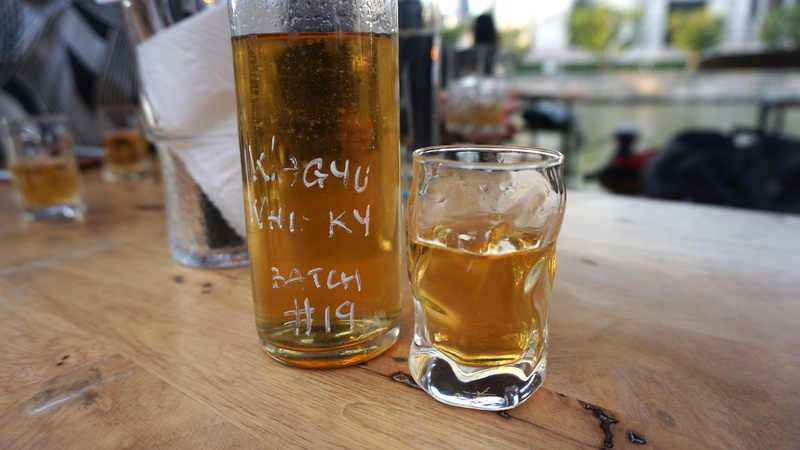 It’s a fat-washed whisky, meaning melted Wagyu fat is infused into the Whisky. They cool it off, remove the coagulated fat and bottle it up for use. The process gives a buttery fragrance to the otherwise potent Whisky. Of course, this whisky is worked into the rather interesting Container of Smoke cocktail, which works in a spot of apricot liqueur, brown syrup and angosturra bitters. Good Whisky goes with great dishes like Braised Soft Pork Ribs ($12/$19) and Wagyu Bao ($6 per piece). I must say, the 9 hours braised soft pork ribs are succulent, tender and addictive. 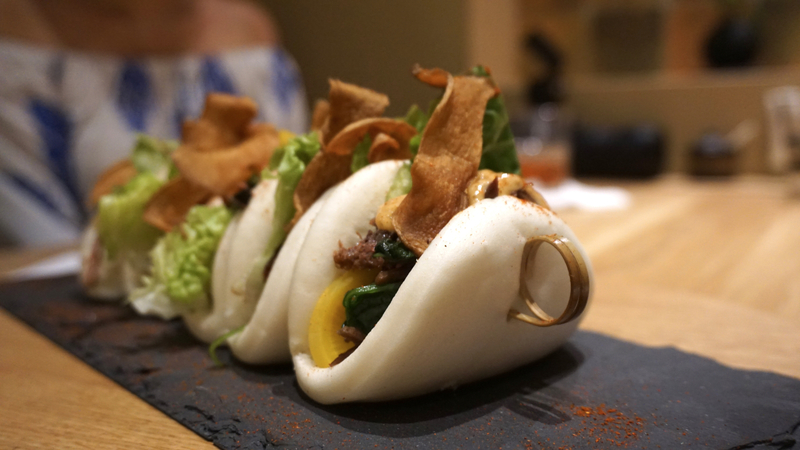 However, my favourite dish is the Wagyu Bao. I can actually see myself ordering 5 of these, and downing them all with a Whisky. The slow-cooked pulled beef is juicy, the vegetables refreshing, and the spicy chili dust makes this dish one of my favourites. The Smokin’ Wagyu Carpaccio ($19) is a pretty, creatively constructed dish that places the Wagyu front and centre. While the fattiness of the carpaccio is undeniable, it is the smoking of the meat that takes this to the next level. Using Sakura (Cherry Blossom) Wood, the meat is smoked for a short while, before being served for a rather dramatic reveal. For me, the main draw of a table BBQ is the drama of food. The sizzling meat, rising smoke and its accompanying fragrance are all part of the magic. However, I don’t really like coming out feeling oily and smelling like the food I just ate. Thank goodness, then, that Aburiya’s BBQ system was designed for maximum cleanliness. 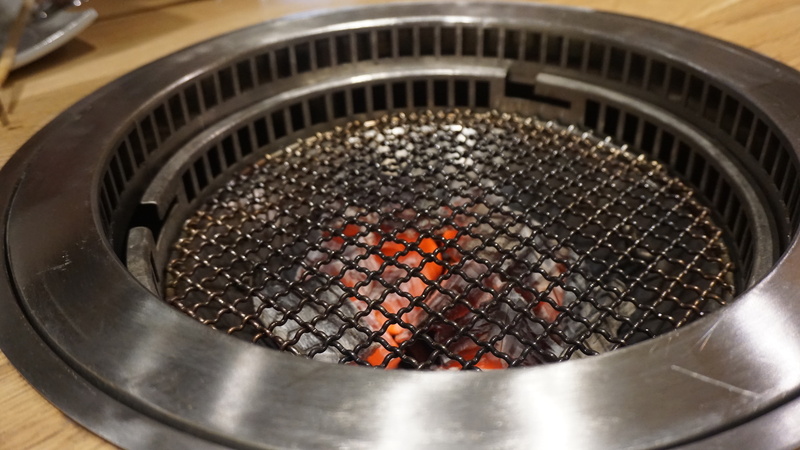 I really appreciate that fact that this customised system, and the use white charcoal, allowed diners like me to enjoy Yakiniku without ending up smelling like cooked meat. Speaking of meat, the Aburiya Kirotoshi Tokumori (350g – $54) is a treat! This platter is a mix of Japanese Wagyu beef and Tokachi beef. Tokachi is basically a breed of Wagyu and Holstein cow, raised in Sapporo. Both hold a beefy, fatty texture, but I thought that the Tokachi had a bit more of a flavour profile. We also got the Tokusen Karubi ($26). While Tokusen refers to an almost Imperial quality of Wagyu beef, Karubi refers to the short rib part. This part lies at the belly, so it possesses plenty of fat, is rich in flavour and popular with Yakiniku aficionados. I thought that this piece held a bit more bite, probably because of the thickness of the cut. The fattiness of the meat also meant that it was a bit more tender. Please also order the Corn ($5.90), which was a favourite at my table. 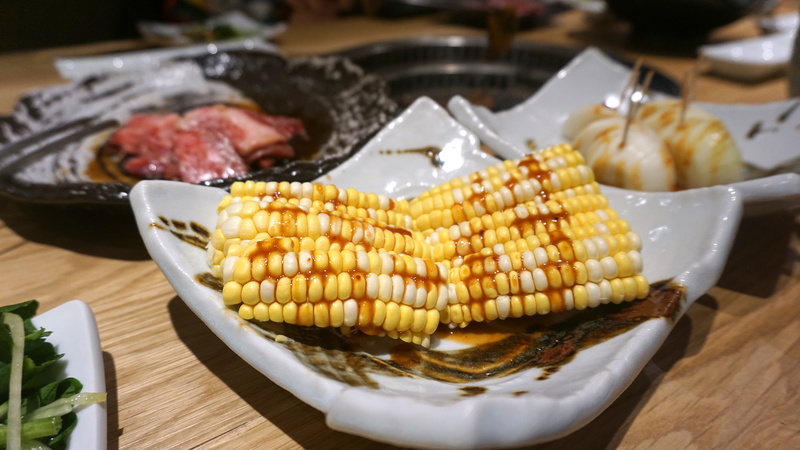 The corn is ridiculously sweet, and I heard that they’re in the process of ordering more Japanese vegetables from Japanese farms, to serve customers with higher quality ingredients. For me, this corn is a win because you can eat it raw for natural sweetness, or you could throw it onto the grill and let it brown a little for that slight bit of char. Most people really don’t give a hoot about rice, but this one bears special mention. The Donabe Gohan (3pax – $15.50) is no ordinary pot of rice. Besides the fact that this is real Japanese rice, I like the idea that the rice is made to order, and cooked in a traditional pot, over fire. The granularity of the rice is amazing, and because it is cooked in perfect timing, the rice is neither mushy nor hard. Bonus: Scrape off the rice from the bottom for a crunchy little treat at the end of your meal! 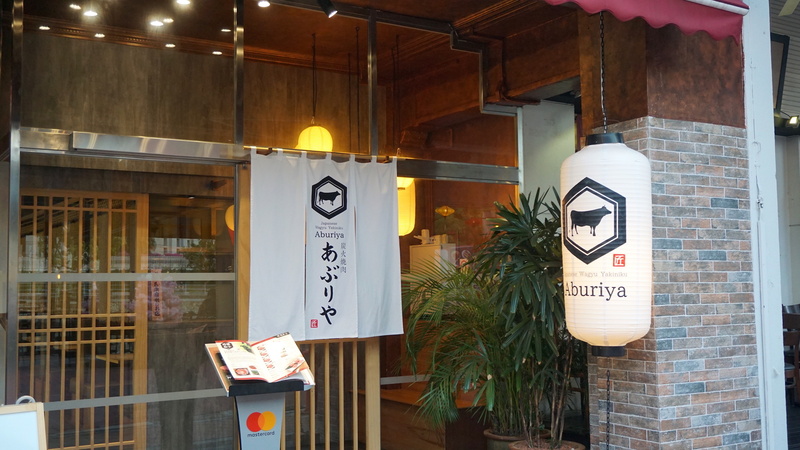 Aburiya serves really good quality Wagyu at reasonable pricing, and has a creative menu to boot. 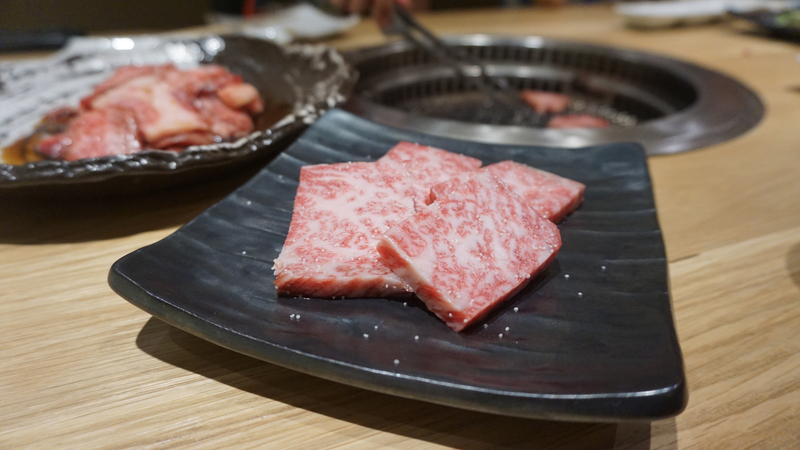 If you’re a fan of Wagyu Beef, Yakiniku or just Japanese Cuisine, I think you’ll be pleasantly surprised at the standard of the food and the price tag.